Sea thrift (Armeria maritima): growing, planting, caring. A groundcover for rock gardens or sandy soils. 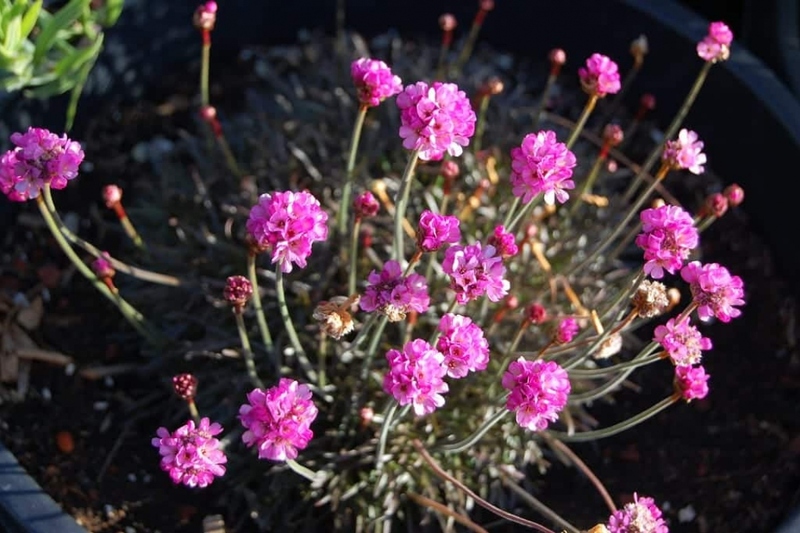 Full description for Armeria Maritima not yet available. Plant the sea pink in spring in a poor, very drained or sandy soil. It likes the openareas - in full sun! Thoroughly tamp down the soil to remove air in contact with the roots, then water abundantly it promotes recovery. Sea pink requires only a few waterings at the beginning of cultivation. Then, a rain from time to time should be enough - it will even support a very prolonged drought! A multiplication by division of the tuft in the spring is always possible - although the sea pink tends to expand in a natural way! Prune low after flowering, to keep the plant compact.